So this lineup had me crying last night its SOOOOO good I can't even handle. 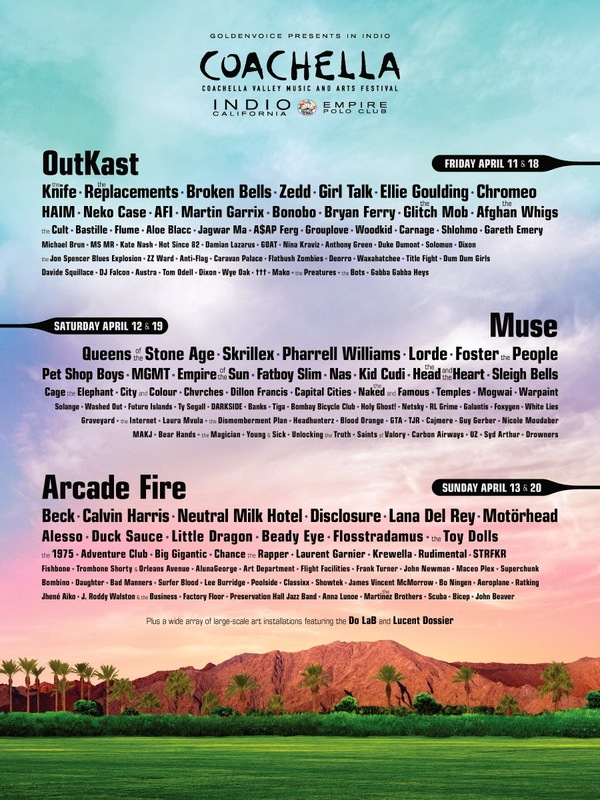 OUtkast A$AP Ferg PHARRELL Nas Empire of the Sun MGMT Banks LANA Jhene Aiko Flume Kid Kudi. How am I supposed to take all this in at once??? If you're going weekend 2 I wanna know! !